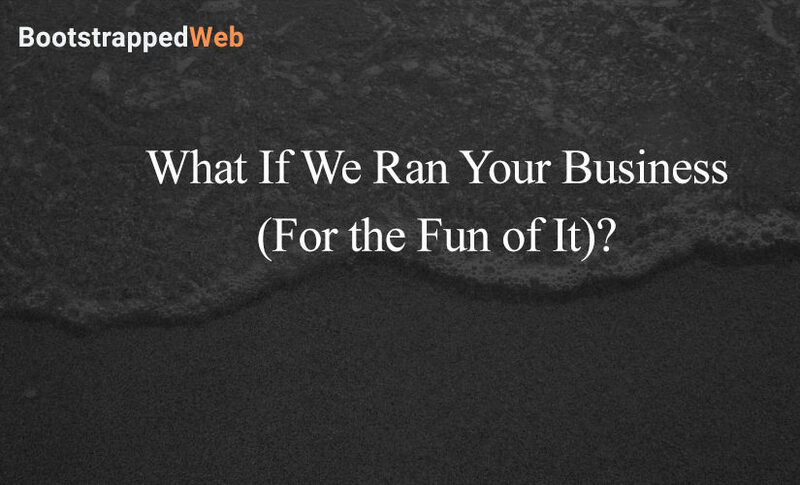 What If We Ran Your Business (For the Fun of It)? Things are getting back to normal in our respective business worlds. Brian has launched his podcasting service and Jordan is back to business as usual after a visit from Ben and Rok. Today we kick off our “armchair quarterbacking” sessions, and we are starting with Andrew Culver’s SaaS product, Bullet Train. We also give general updates on what is going with Carthook and Audience Ops. So tune in to hear about Brian’s new service and Jordan’s newfound ambition after having a rare full team meetup. How having Rok and Ben around has energized Carthook’s team. The presentations and social activities that helped Jordan’s team get better in step with each other. Adjusting back to regular business after Rok and Ben left. The hiring process Brian is using to build his podcast service. An update on the Productize Course and Brian’s closed cart approach. The struggle of working during business travel. The benefit of doing one-on-one discussions with your employees. The first armchair quarterbacking session: Bullet Train. Why agencies would be the best fit for Bullet Train. Posted on April 19, 2018 May 10, 2018 Author craighewittCategories Podcast1 Comment on What If We Ran Your Business (For the Fun of It)? We welcome Team Carthook to the podcast today! Jordan has brought two of his senior team members to discuss the evolution and future evolution of Carthook’s service. Ben Fisher is the co-founder of Carthook and head of product. Rok Knez is Carthook’s lead developer. He usually manages the company office over in Slovenia. Both Ben and Rok were a part of the company since the very beginning. The guys share how they met and how the business has gone from 3 guys hanging out to the large-scale team that is today’s Carthook. We discuss the technical issues that have reared their ugly head the last few months and Ben explains how they coped with this inevitable part of the business. Today the hood is being lifted on Carthook and we will learn about how Jordan and his team interact with each other and their clients. Buckle up for a very technical episode! How Ben and Rok met Jordan and got involved in Carthook. How Rok hired the engineering team. Who helps with product design? The new style guide the team has recently adopted. How Carthook’s tech stack has evolved. The importance of not cutting corners. The benefits of using Angular. When do frameworks and processes matter? The 3 questions the team ask themselves when making decisions. How Hiten Shah has influenced Carthook’s process. How Jordan and the original team have coped with working with a larger team. What Jordan and his team have learned about their product. The importance of choosing the right colleagues. MicroConf is right around the corner and Jordan is gearing up for his talk for the event. He bounces some topic ideas off Brian and reveals how his topic choices are reflecting what is happening in Carthook. The version 2 upgrade is finally working properly and Jordan and his team are seeing some major cultural shifts in the business. Brian has found himself with some downtime, so now he is thinking about new avenues for Audience Ops. Brian outlines his idea for a new service offered through Audience Ops. 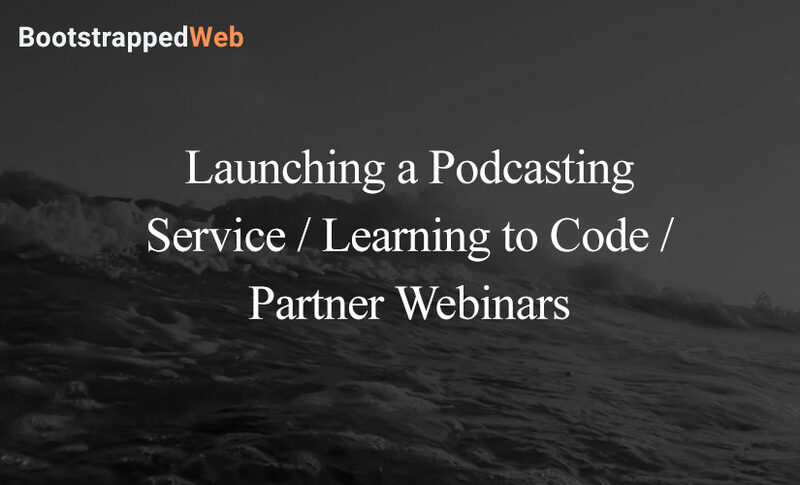 An done-for-you podcasting service. He gets Jordan’s feedback and really explores why he thinks podcasts are the next logical step for the business. He also drops a big announcement… Brian wants to learn to code. We have some interesting conversation about alternative content on this episode and some really useful reflections on the founder’s role within his company. Considerations for future podcast topics. Why Brian wants to launch a new service. The all-done-for-you podcast service breakdown. Brian’s small beta group for the new service and the results. The benefits of podcasting content. The second version of Carthook update. How to create pitch-hitter scenarios. How Carthook uses paid ads. The ad strategy Jordan used for the webinar. Brian’s results from his Productize webinar. Why Brian wants to learn to code. How to be a full stack product person. Jordan’s adjustment to a larger work team and changing the dynamic. It has been a crazy couple of weeks for both of us. We took a break last week, but we are back and we’ve got some great topics! Jordan spent all of last week fixing a product issue. It was hard, it was frustrating, and it showed him just how great his team could be. He explains what happened to Carthook and how the problem was resolved. Brian is performing an experiment with his Productize course. He is reaching out to a cold audience. He shares why he felt this was the way to go and lays out how he plans to attract new customers as this experiment progresses. Join us today as we discuss the reality of customer service. We talk about the importance of meeting customer expectations and doing it with a smile. We also dig into how to go about finding those customer expectations when they aren’t that obvious. Jordan’s frustrating week and how he and his team coped. How price point affects a customer’s expectations. 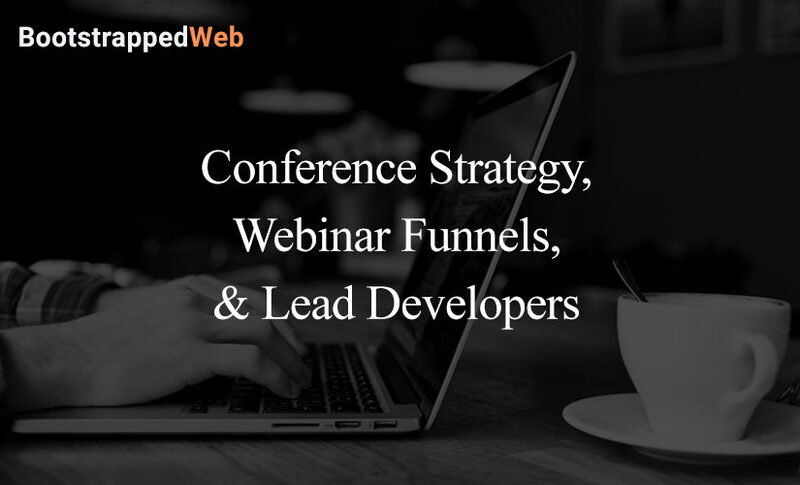 The Productize webinar ad strategy. How to make data work for you in an experiment. Brian’s results thus far in his experiment. How to cope with doubt in your service. When to decide to push or pivot. How to help customers find solutions. We are back to discuss the exciting and frustrating things going on with our businesses. Jordan has a lot on his plate including launching 15-20 new features and a few industry conferences; he will be attending the Traffic and Conversion Summit in San Diego, as well as, speaking at MicroConf Growth in Las Vegas. Brian of course also has a lot coming down the pipeline. He gives the audience an update on his new direction for the Productize course and the webinars he is producing on his site. The theme for today’s episode is customer outreach. We both compare our styles of marketing and networking and share what has worked well in the past. We also discuss the upcoming challenges we see in our companies and talk about proactive steps we can take to make the process smoother. Jordan’s preparation for the Traffic and Conversion Summit. Traveling for business and keeping up. Carthook’s upcoming new features and how to announce it. Tips for smart networking at conferences. Jordan’s invitation to speak at MicroConf. Brian’s laser focus on Productize. Recent feedback about Ops Calendar and how that is changing Brian’s plans. 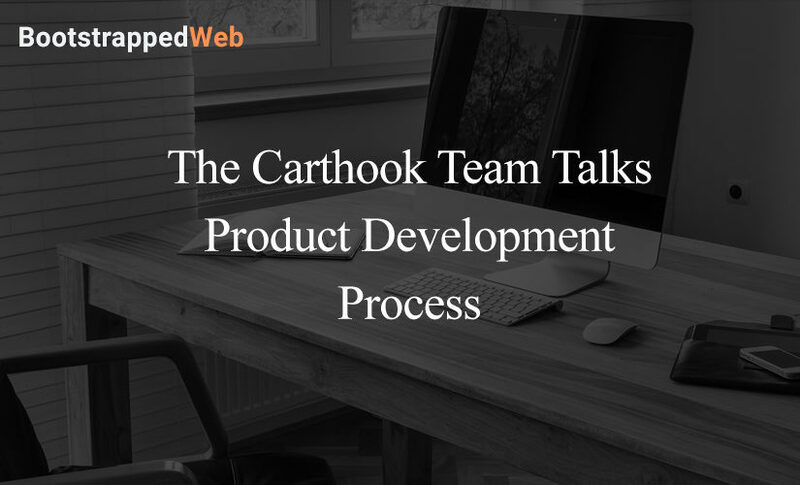 The process Jordan and his team have developed for updating Carthook’s features. The best examples of marketing a large scale update. 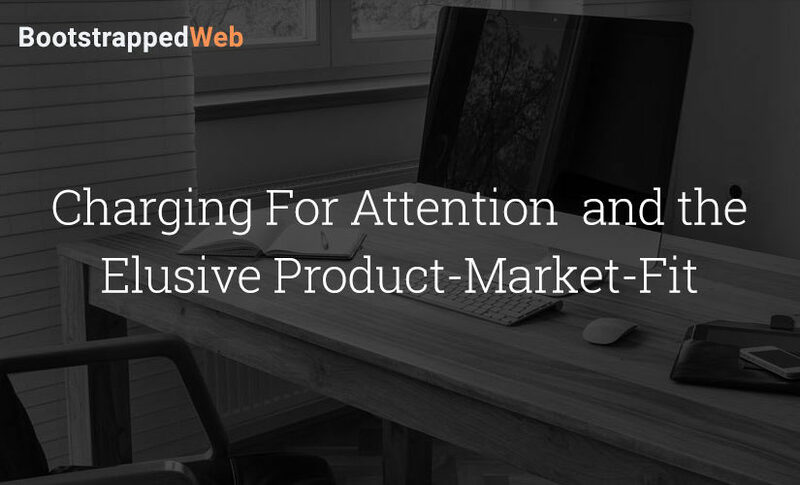 The journey to building an online community around your product. How transparent should a business be with these communities? The live webinar Brian is offering on his site. How Russell Brunson’s work has helped Brian. The results of Brian’s current marketing system. Jordan’s plan to court agencies. The pros and cons of working with an agency. How Dan Andrews’s work has helped Jordan prepare. How to present ROI in content. Brian’s efforts to reconnect with Ops Calendar. Brian’s developer issues and the immediate needs he is seeing within his team. Our guest today is Sherry Walling. Sherry is a clinical psychologist and the author of the soon to be released book, The Entrepreneur’s Guide to Keeping Your S**t Together. Sherry is also the co-host of the Zen Founder podcast with her husband Rob Walling, the founder of Drip. Her time with the podcast has given her an insight into the fears and concerns every entrepreneur experiences. She gives us her observation of the entrepreneurial journey and her advice to navigate it. Sherry’s book will be available February 21, 2018. Join us for this free therapy session for any stressed out bootstrapper! Brian’s time at Big Snow Tiny Conf. Sherry’s upcoming book, The Entrepreneur’s Guide to Keeping Your S**t Together. Her professional background and marriage with Rob Walling. Why Sherry decided to write the book. The cycle of the entrepreneurial journey. How business owners build resilience. The common issues entrepreneurs share. The role of “gallows humor” in business. How to combat the negativity many entrepreneurs face. The importance of meeting other entrepreneurs. Sherry’s tips for bootstrappers to stay healthy. Today we discuss a really heated topic that popped up on Twitter over the holiday break. 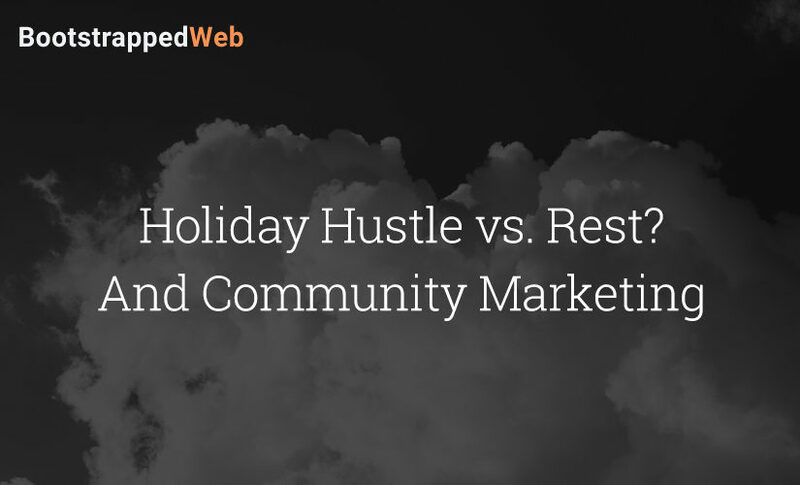 A Twitter flame war was started by a post chastising business owners for not working through the holidays. 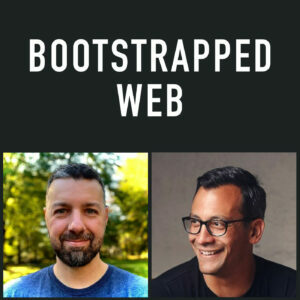 We have some thoughts on the subject and we discuss the changing world social media has ushered in for bootstrapped companies. Jordan discusses some growing pains he has been experiencing with the new Carthook team. 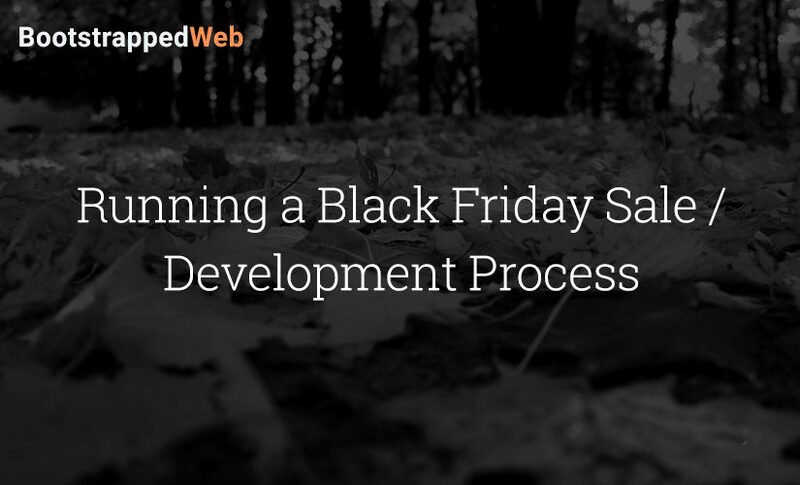 He shares some lessons he has taken away from the experience and how he is trying to find the company’s footing and optimal path for 2018. He also has some exciting news… Carthook has reached the 100 million dollar threshold! Brian is facing a major shift of focus in his company. He will now be putting his energy into the Productize Course. The course will be his flagship product. He even has plans to change his branding. He will change CasJam to Productize and Scale. He is really excited about this change and is looking forward to a new start in 2018. The Twitter flame war over the break. How Jordan and Brian find balance in their business and personal life. Why “work guilt” is unhealthy. Jordan’s new marketing coach and what he has taught him. The cryptocurrency fad.and what it could mean for bootstrappers. What Jordan has learned from using Salesmachine. Brian’s plan for test driven development. CasJam.com will soon be Productizeandscale.com, and why Brian is making the change. Why Brian wants to build a company community in 2018. Josh Pigford’s latest blog post. How social media has totally changed marketing and research and development. 2017 is coming to a close and Jordan and Brian are looking back on this explosive year. They also share their plans for 2018. Audience Ops and Carthook both saw tremendous amounts of growth this year. That growth has caused the guys to reflect on 2017 and the lessons they have taken away from the experience. Brian has seen an uptake in sign-ups and Audience Ops has ridden a roller coaster this year. Brian shares what he learned from the sudden stop and go growth of the business. 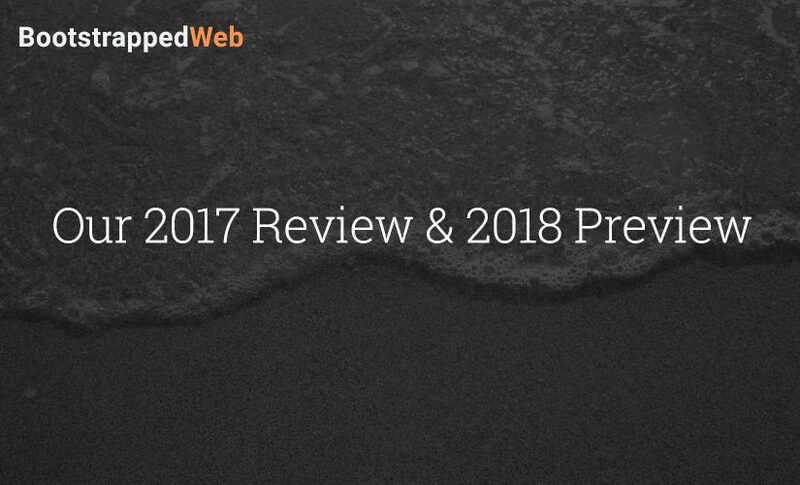 2018 looks to be a major year for Audience Ops, Ops Calendar, and Productize. Jordan has had a monster of a year. He is recuperating from a breakneck year with a well deserved slow down period. Jordan shares what this year taught him about team building and how he plans to fix some of the issues he noticed during Carthook’s major growth spurt. The problems Jordan discovered when onboarding new team members. Brian’s surge in service sign-ups. Setting new goals and themes for 2018. The downside of sudden growth. Coping with wild growth and rapid plunge of business. Jordan’s tech issue in 2017 and how he plans to fix them. Productize’s new course launch in January. Jordan’s general observations about 2017 and 2018. Brian’s general observations about 2017 and 2018. 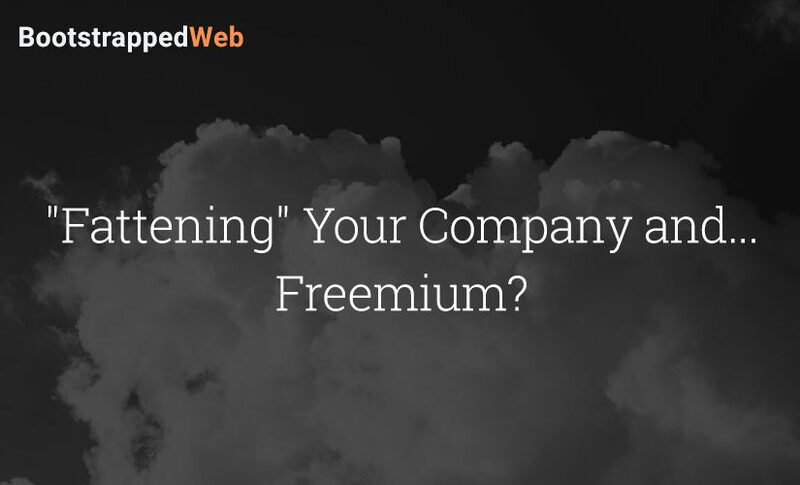 Posted on November 16, 2017 May 10, 2018 Author craighewittCategories Podcast1 Comment on “Fattening” Your Company and… Freemium?